The park has a wide range of facilities on offer, including a playground at Petersham Gate and educational facilities for those with special needs at Holly Lodge. Toilets, including some for people with disabilities, are available. With the selection of food and refreshments from the places listed below, you can easily plan a full day of activities in Richmond Park. 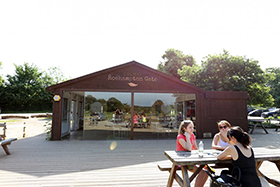 Further information on the Food and Drink amenities in Richmond Park can be found here. 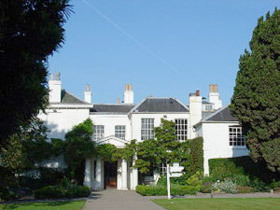 Serves a selection of meals and snacks – the restaurant is in a beautiful Georgian mansion set in 13 acres of landscaped grounds with spectacular view. The Lodge also has a banqueting facility for up to 130 people, supported by a car park and disabled access. There is a garden with seating, and the Lodge is licensed for alcohol. Children are catered for, and high chairs and baby change can be provided.